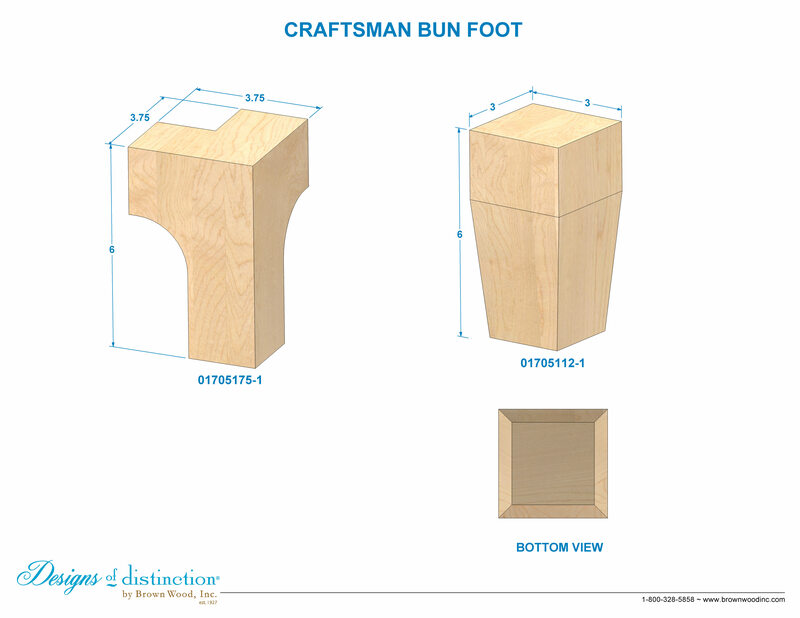 Simple, practical, and useful describes the Craftsman Corner Bun Foot. Finish or refurbish your cabinets, chests, or bed frames with this clean and contemporary Craftsman Corner Bun Foot. Create a welcoming Craftsman style home using all wood components from the Craftsman Collection. Designed to be attached to the corner of cabinets or furniture. Matching components available in the Shaker Collection.